The Road of Life (Russian: Доро́га жи́зни, doroga zhizni) was the ice road transport route across the frozen Lake Ladoga, which provided the only access to the besieged city of Leningrad in the winter months during 1941–1944 while the perimeter in the Siege of Leningrad was maintained by the Army Group North and the Finnish forces. The road today forms part of the World Heritage Site Saint Petersburg and Related Groups of Monuments. The Siege of Leningrad lasted for 29 months from September 8, 1941, to January 27, 1944. The Nazi forces encircled the city together with the Finnish forces. Over one million citizens of Leningrad died from starvation, stress, exposure and bombardments. The Road of Life began to operate on November 20, 1941 when the first convoy of horse-pulled sleighs brought supplies to the city. Shortly thereafter, the ice road began receiving truck traffic. Via the Road of Life, supplies could be brought into the city, and civilians evacuated to the still Soviet-controlled opposite coast. During the winter 1941–42 the ice line of "Road of Life" operated for 152 days, until April 24. About 514,000 city inhabitants, 35,000 wounded soldiers, industrial equipment of 86 plants and factories, and also some art and museum collections were evacuated from Leningrad during the first winter of the blockade. While the road was protected by anti-aircraft artillery on the ice and fighter planes in the air, truck convoys were constantly attacked by German artillery and airplanes, making travel dangerous. Some survivors therefore bitterly recall the route as a "Road of Death". The total number of people evacuated from the siege of Leningrad through the Road of Life was about 1.3 million, mostly women and children who walked by foot. 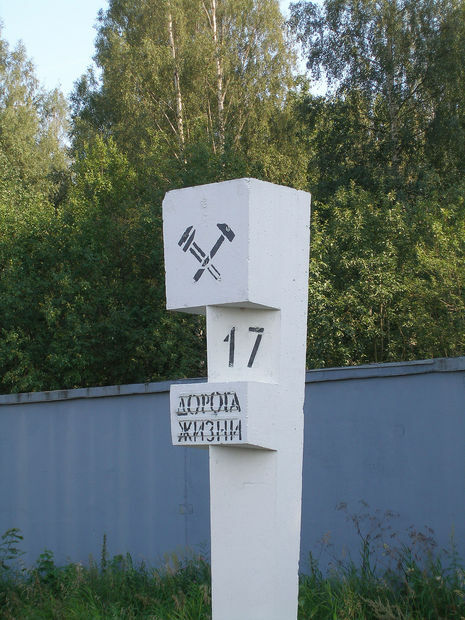 During 1942 an oil pipeline ("Artery of Life") via Ladoga lake was built: its length was 29 km, of which 21 km ran under water at depth of 12.5 m.
During the following winter of 1942–1943, the Road of Life began to operate once again, starting with the horse traffic on December 20, 1942. Motor vehicles began to operate on December 24, 1942. Construction of the pile and ice railway of 30 km long also began in December 1942. Operation Spark — a full-scale offensive of troops of the Leningrad and Volkhov Fronts — started in the morning of January 12, 1943. After heavy and fierce battles, the Red Army units overcame the powerful German fortified zones to the South of Lake Ladoga, and on January 18, 1943 the two fronts met, opening a land corridor to the besieged city. 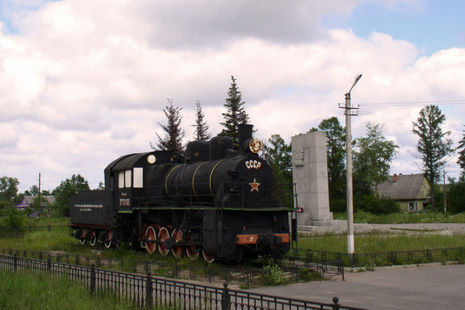 Almost immediately, both truck and rail traffic began to bring supplies to Leningrad. The city of Leningrad was still subject to at least a partial siege, as well as air and artillery bombardment, until a Soviet offensive broke through the German lines, lifting the siege on January 27, 1944. For the heroic resistance of the citizens, Leningrad was the first city awarded the honorary title Hero City in 1945. Several hundred thousand people were evacuated from the city across Lake Ladoga via the famous "Road of Life" ("Doroga Zhizni") - the only route that connected the besieged city with the mainland. During the warm season people were ferried to the mainland, and in winter - carried by trucks that drove across the frozen lake under constant enemy bombardment.